Normally, the fertilized egg attaches itself to the lining of the uterus. When the fertilized egg implants somewhere outside the uterus, it is called Ectopic pregnancy. A tubal pregnancy is the most common type of ectopic pregnancy that occurs when a fertilized egg gets stuck on its way to the uterus, often because the fallopian tube is inflamed or damaged. A woman's hormonal imbalance or abnormal fetal development may also play a role in ectopic pregnancy. 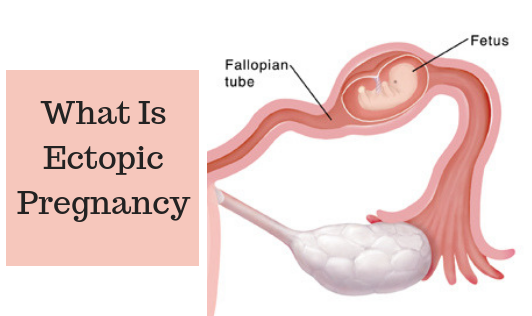 However, the specific cause of an ectopic pregnancy remains unknown. The early signs of an ectopic pregnancy may be the same as normal pregnancy such as nausea, missed period, and breast tenderness. Abdominal or pelvic pain accompanied by light vaginal bleeding is usually the first signs of an ectopic pregnancy. One may experience shoulder pain or the urge to have a bowel movement if the blood leaks from the fallopian tube. Contact your doctor immediately if you experience any signs of ectopic pregnancy including extreme light-headedness, fainting and severe pelvic or abdominal pain accompanied by vaginal bleeding!